Stefani was addressing the Our City, Our Home initiative (Prop C) on San Francisco’s November ballot. Prop C raises $300 million annually to combat homelessness by taxing businesses earning at least $50 million in total taxable gross receipts. Prop C doubles what the city currently spends on housing and homeless services. I found it troubling that a San Francisco supervisor questioned whether more money is needed to reduce homelessness. It troubled me because it means she and a lot of San Franciscans are confused and likely misinformed about where the city’s homeless dollars are spent. Consider the formerly homeless tenants living at the 204-room Seneca Hotel (photo accompanies story). The Seneca has been part of the city’s homeless budget since 1999. No matter how long people live in the Seneca or other master-leased hotels the subsidies for their rent and the building remain in the homeless budget. The myth around San Francisco homeless spending is that the money is going to those on the streets or in shelters. The truth is that most goes to house formerly homeless persons and to provide them services. San Francisco and other cities impacted by homelessness have always lacked the money to end homelessness. It was historically a federal responsibility to subsidize housing for the very poor, an obligation that has been breaking down since the homeless crisis began in 1982. Today, 75% of low-income households eligible for federal subsidies do not receive them. If money were not the problem, why have six prior San Francisco mayors—Feinstein, Agnos, Jordan, Brown, Newsom, and Lee— all tried to eliminate homelessness and failed? Can anyone rationally believe this failure was due to poor plans or strategies rather than a lack of funds? Feinstein and Jordan did have badly flawed homeless policies. 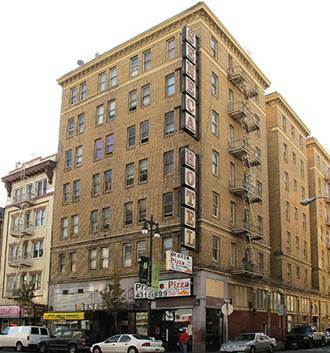 But Agnos, Brown and Newsom offered some of the most advanced homeless reduction strategies in the nation (Agnos set the city on a path toward permanently housing homeless persons, Brown initiated the master leasing program, and Newsom launched Care Not Cash, which brought the biggest cash influx into addressing homelessness in the city’s and likely the nation’s history. Ed Lee built on all of these successful strategies). Think about this history when you hear Supervisor Stefani and others express doubts that the Our City, Our Home measure will make a difference. What will truly not make a difference is not increasing funding. Concerns that the tax measure will cost middle-class jobs resonates with voters. I know this both from talking to people and from the Chamber of Commerce-backed poll that found only 53% approval for the initiative prior to hearing opposition arguments (approval was 47% after). While the Chamber had an incentive to publicize a poll that showed Our City, Our Home in trouble, the poll questions were straightforward. I have had plenty of time to think about the poll and discuss it with others as I learned about it well before it was published. While the Chamber’s opposition campaign theme— Right Priority, Wrong Approach—has become a clever parody website for opponents, there is troubling evidence that many San Francisco voters who complain about homelessness are not willing to spend more money addressing it. I regularly hear from folks echoing Stefani’s concern that we keep spending more while the problem seems to get worse. But California’s housing affordability crisis is steadily increasing the state’s homeless population. Refusing to invest in solutions will not reduce homelessness. Despite its progressive reputation and stated concern about affordable housing, the city has often rejected funding measures to address homelessness. After passing a $100 million housing bond in 1996 San Francisco voters repeatedly rejected housing bonds and set asides in multiple elections. The next victory after 1996 was not until Mayor Lee assembled a winning coalition for the $1.5 billion Housing Trust Fund in 2012. Lee then reassembled the coalition to win a $330 million housing bond in 2015. But San Francisco voters overwhelmingly defeated a sales tax hike for homelessness in November 2016 (Props J and K). And a huge housing and homelessness funding measure (Prop D) did not even get 50% this past June. While progressive opposition to both measures contributed to their defeat, the outcomes indicate that Stefani’s doubts about increasing funding are shared by many San Franciscans. In The Activist’s Handbook I studied a huge number of ballot initiatives. I concluded that the single biggest factor determining the outcome was whether the measure addressed the self-interest of a significant portion of the electorate. This was particularly true when big money opposition was involved, as voters lacking a self-interest in the measure winning would be more likely to be affected by the negative campaign and vote no. Prop C meets the significant self-interest test. Most voters will not be impacted by the rise in the gross receipts tax but will benefit from fewer homeless on the streets. So the initiative clearly has a solid chance of victory. And its success may depend on clearing up voter confusion about how the city currently spends it homeless dollars. Randy Shaw is Editor of Beyond Chron and heads the Tenderloin Housing Clinic, which has endorsed Prop C. He urges cities to fund affordable housing in his upcoming book, Generation Priced Out: Who Will Live in the New Urban America.